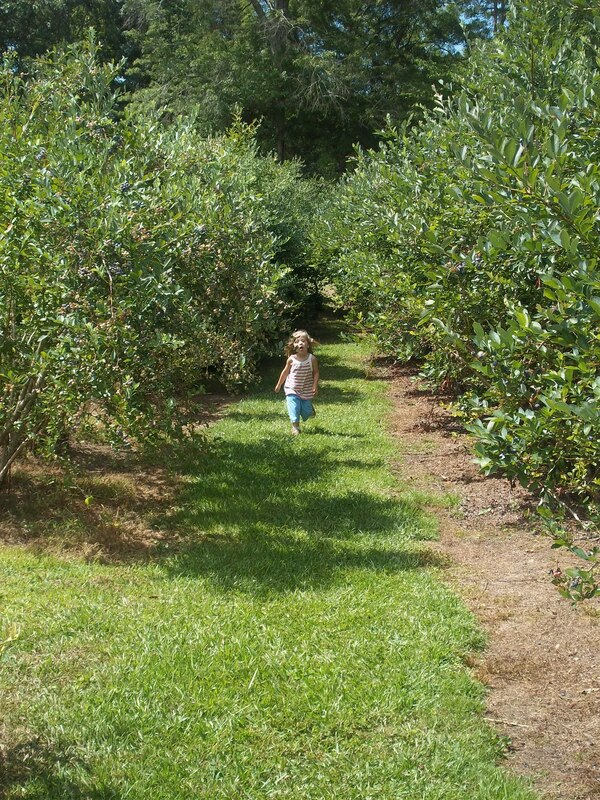 Wow, a caravan of seven cars followed one another to a treasure just 20 minutes from our town….a wonderful blueberry patch! 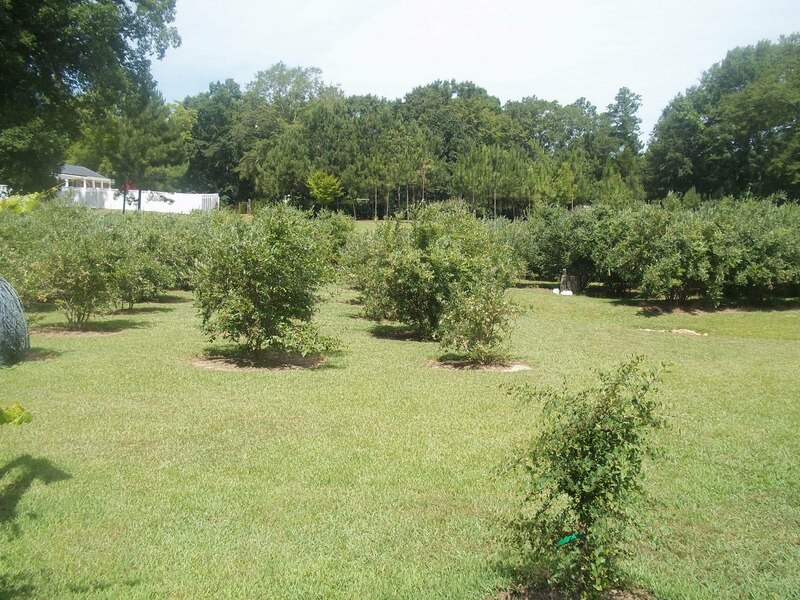 We visited this patch last summer, too, but waited until late July to pick when the berries were juicy and sweet. This summer, we decided to go a little earlier since there were more children and it wouldn’t be as hot as it’s gonna get (it was still a scorcher). 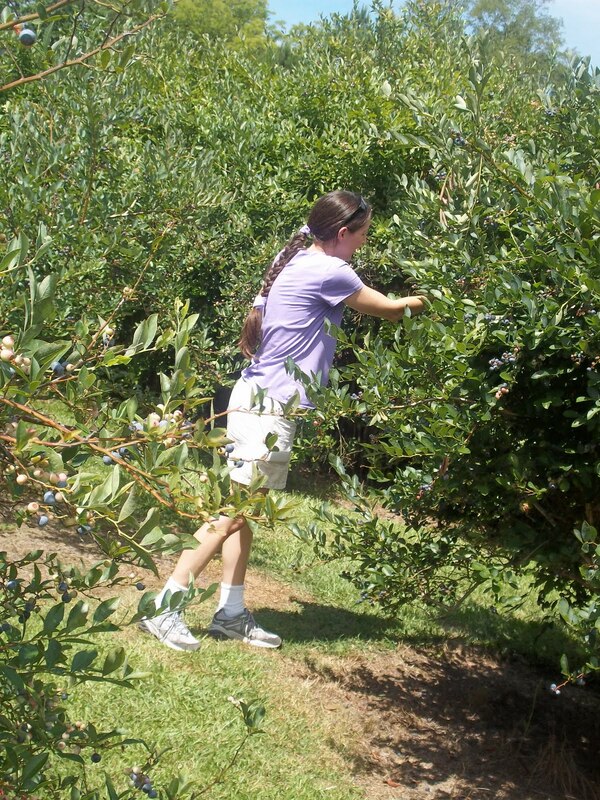 The berries weren’t quite as sweet but there were plenty of ripe ones for the picking. 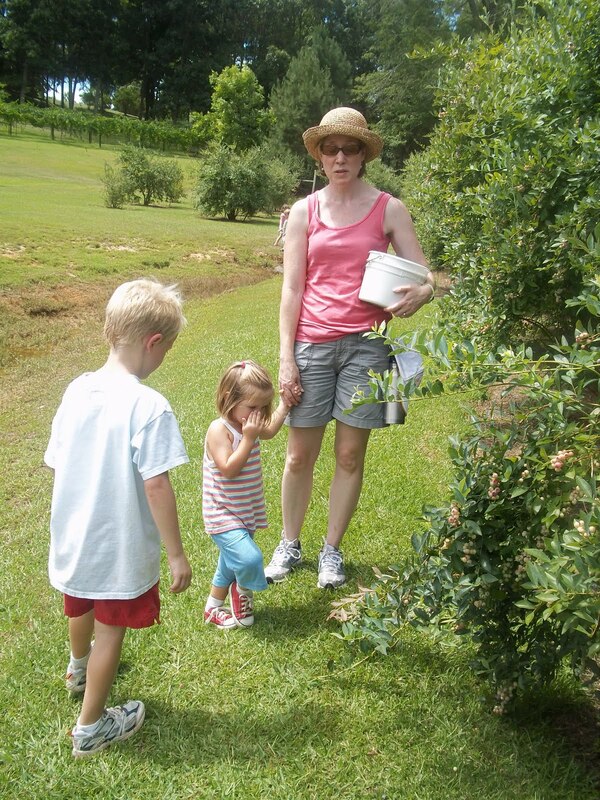 It was fun to be outdoors with friends, talking through the bushes, watching our kids run around, listening to the little giggles as they hid, and filling our buckets with pure blue delight. See what Andrew did as I picked the berries? He hunted for frogs and caught eight (in the jar he’s holding). 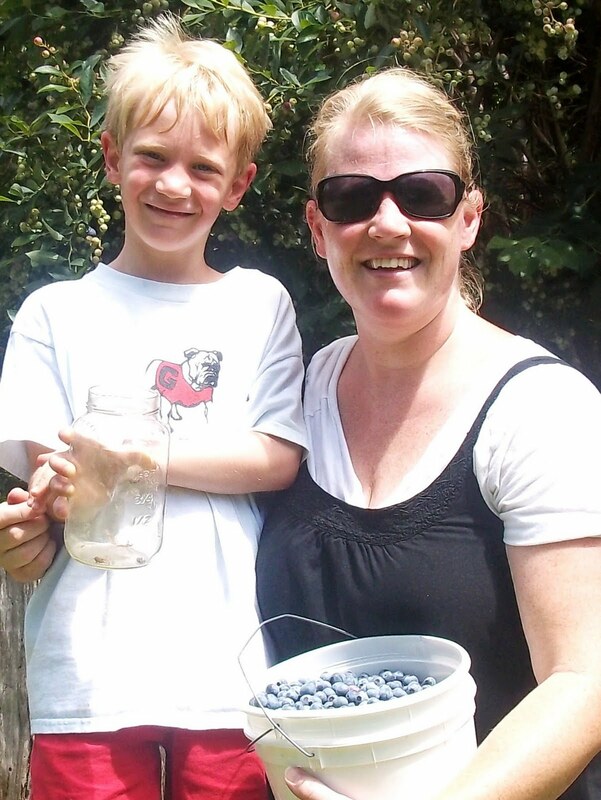 Have you read the book Blueberries For Sal by Robert McCloskey? Such a fun one! And great to read during blueberry picking season.